We all love to take on the world with our best foot (or hair style) forward – but at what cost? In this age of consumerism, we are constantly being bombarded with advertisements for beauty products and procedures that promise to make us look ten years younger in exchange for a small fortune. According to a survey done in 2017, it was determined that the average woman will spend over $55,000 on her hair in her lifetime; and with growing trends placing more and more pressure on the way we look, that number is only going to go up. With designer products, celebrity endorsers and internet ads that follow us around, it’s not always easy to refrain from social pressures to buy the latest eyeshadow palette, hydrate with plant-based serums or get those long and free-flowing hair extensions shown on our Instagram and Facebook feeds. While we all love to look and feel our best when we embark on our day, it’s important to remember that looks aren’t everything and there are steps you can take to ensure that you’re not going to wind up paying for it later on. When you go to the salon to get a cut, skip the pricey add-ons such as blow outs or styles, and don’t be persuaded to purchase styling products that you don’t need just because your hairdresser suggested it. This can save you hundreds over the course of a year, and you won’t end up with half empty product bottles of styling products that will ultimately end up in the trash. 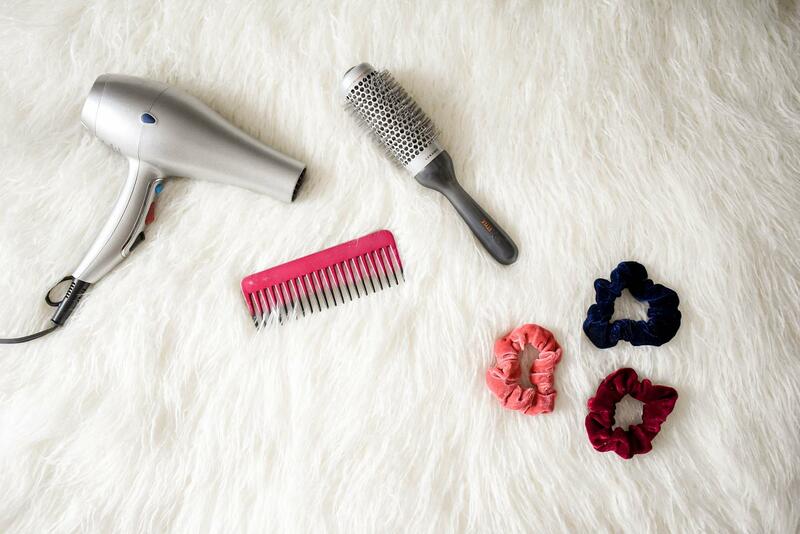 We realize this one may be a tough sell, but when was the last time you gave your hair a break? We’re certain that it was not Mother Nature’s intention for us to cover up our hair with chemicals and dyes for the sake of vanity, and chances are your natural shade is perfectly suited to you. Pro tip: if this suggestion is a little too drastic for you, ask your hair dresser to give you a subtle balayage the next time you’re in their chair. While this may cost a little more upfront, the maintenance is way less as the whole point of this hair style is to look natural, meaning you won’t have to go as often. We’ve been known to extend our time between visits to up to a year! Price match, coupon clip and shop online! As women, our hair needs to be washed and conditioned regularly, and it’s no secret that many of us enjoy styling our hair with an array of tools. Since some hair-care expenses are inevitable, you may as well do your due diligence to find the best bang for your buck. Some online retailers such as Amazon sell salon-quality products at a super reduced price if you catch them at the right time. If you’re not one for online shopping, we’ve found that local discount retailers like Winners and Marshalls offer up name-brand products at a fraction of the price, sometimes even putting them on clearance for an even greater discount! Stay tuned for our next beauty and the budget blog where we take on the vast world of makeup!